Cliff Cardinal's one-man show Huff isn't an easy night at the theatre, but that is what makes it so important. Beginning on stage with a bag duct-taped over his head, he proceeds through a monologue. This is no stage trick, the bag is really on his head, and we can really see the clear plastic contracting over the contours of his face as he tells us about the game. From this attention-getting starting point, Cardinal weaves through a story of a warrior and his wife, to their eventual children (Don't worry -- he takes the bag off his head before damage is done, but don't think that you're being let off the hook). The story weaves a large cast of characters and voices and perspectives, which aren't always completely clear; at times it was challenging to follow who was speaking, and Cardinal's mainly razor sharp physical and vocal transitions did sometimes lose their specificity. Nonetheless, the story that emerged was at once funny and emotionally shattering. His playful use of comedy to lull the audience in positions us both as judge and possible saviour, and this is a challenging place to sit for 75 minutes. His jokes veer on the politically incorrect, edging the audience to take stock of when they are more prejudiced than they think they are, and point that judgement inward. Cardinal speaks the unspeakable loudly. And the audience have no choice but to notice. I would be remiss not to speak of the elegant staging which transformed a small number of props and pieces of furniture into multiple locations and objects, through Cardinal's deft navigation of the world of the play. This script is difficult. But it is difficult because it lays on the table and shouts all the things that we know in the backs of our minds but won't utter aloud. And it points to the flaws in the system we are all a part of and therefore share responsibility for. I urge you to read or see it if you can. The show has closed in Toronto but is now embarking on a National tour. There isn't currently a Winnipeg stop, and someone should rectify this immediately. William Shakespeare's war-driven tragedy, Coriolanus, is not for the faint of heart. The story of a warrior who is given rule of Rome, but then reluctant to take on the artifice of ruling, Mad Cow productions bring us a brisk version of the lesser known play. It is staged making good use of the long alley in the space leading up to the stage, creating a sense of depth. The performances in the cast have a wide range; from the deft verbal swordplay of the more experienced performers, to the murky and unclear delivery from some of the cast's younger members, there are certainly moments where the plot is lost. This is unfortunate, as again, it isn't a terribly well known story, and the physical interpretation of the scenes (save for a few) is quite static, so it won't help audience members along. It isn't an easy task to climb this mountain, and overall the production does an admirable job in bringing it to life. The word "show" doesn't adequately fit what Halifax performer Katie Dorian offers with her one-woman How Often Do I Dream? -- rather "experience" would be much more appropriate. A calm and welcoming presence, Dorian greets each guest at the door, inviting them to explore the installation of objects on the stage before sitting. What follows is a thoughtful and thought-provoking exploration of memory and our ability to control what we do and do not remember. It weaves moments of story and character with moments of Dorian simply talking to the audience, showing us our own vulnerability through her own. It is truly a magical experience, and for those seeking something a little different this Fringe, not one to miss. My only qualm is that I'd have loved to be unsettled even more as an audience member, with her blurring the line between natural Katie and acting Katie, so we don't know where one ends and the other begins. One of the biggest hurdles for a fringe show is the source material; with so many shows being new writing, it truly is a test ground of what works and how audiences receive work. The odd time when a company does an established play, it generally will fare a bit better, because the source material is stronger. Unfortunately that is not the case with Chess, the local re-mount of the Broadway & West End flop from the 80s. The music is dated, the plot slow and indecipherable, and no amount of good singing is going to change that. This is unfortunate, as the cast (Particularly the leads including a standout Bianca Orvis and Josh Bellan) have skills. A well-deserved shout-out to Steve Yurkiw who milks as much comedy as possible from the evil TV executive, too. This play is not the showcase for these folks. On top of the dry source material, the direction is slow with lengthy scene changes, and there did feel to be at least one unnecessary dance number. Had durational theatre been a thing in the 80s musical theatre world, we might have a different sense of these things as the pace of the show reflects a chess match. However, Forced Entertainment this is not. So, as you know, comedies are not usually my thing. So when presented with the opportunity to direct the lovely Clink, a new romantic comedy about youth and expectations, I looked for ways to innovate the means of telling the story. The play centres around 3 scenes in a public place -- the couple's wedding rehearsal and rehearsal dinner, as well as the ceremony. The play has the typical lines interacting with other people in this public space, but lacks the characters to populate it. This sort of trope often gets under my skin, so I thought about how best to overcome that hurdle. Bingo! If we stage this in a somewhat immersive fashion, using a thrust theatre space to create intimacy, and actually engaging the audience as the side characters in this family, we have a unique opportunity to create an audience experience unlike that which they'll get in a typical proscenium staging, therefore increasing their connection to these younger characters whom some older audience members may not identify with. Thus the idea to stage Clink in thrust was born. Now, when most people see and or stage a piece in thrust (at least in Winnipeg) they use the typical proscenium means of actor positioning, and then either just shove the actors really far upstage, or render the side sections "cheap seats". I don't ever feel these are the solution, so rather played with an almost cinematic style of staging, where each audience position will see a face in a given time, but it may not be the face of the actor speaking. It could be the actor who is being spoken to, or spoken about. What results is that depending on where you sit, you may sympathize with a different character in the story, and it may change somewhat for you versus a friend who sat on the opposite side. Does it work? I think so, based on some audience feedback -- those who were willing to suspend expectation. Curiously the staging asks the audience to do what the characters are asking their families to do -- release expectation and accept them on their own terms, for what may be a bit non-traditional. Come see for yourself how my little experiment has worked. I assure you the 4 young actors are worth the show, even if you find the experiment failed. Detailed show times available here, including tonight at 8:45. After a 3 year hiatus from any fringe related work outside reviewing, I've plunged head first into things this year, with 3 projects. There is quite literally something for each of you. - This is a fantastic 4-hander which I've directed, world premiere. A brand new play by an emerging playwright, featuring four emerging actors from the city. It takes place at a wedding, and we've staged it in a surprising way, where the audience get to be the guests at the wedding! Come ready for a party. Drinks not included, but a pre-show drink is heartily encouraged. You'll feel like one of the wedding party. - Theatre By the River's offering for the fest. 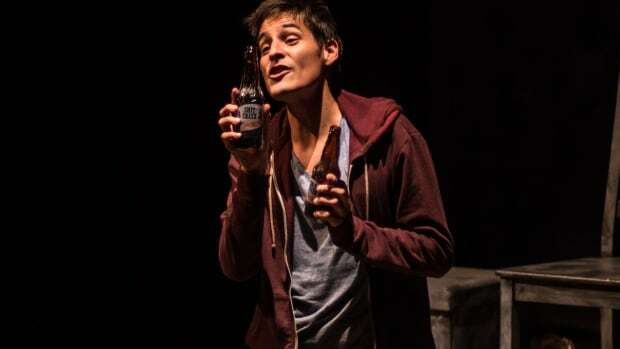 This is the opposite end of the spectrum -- a play by recent Tony award winner Simon Stephens, one man show featuring Rodrigo Beilfuss before he heads off to a season with Stratford's Birmingham Conservatory. I've co-directed this piece. It is only 30 minutes. Beautifully written, a devastating piece of theatre. - Finally, this is an odd little project of mine, the first in a series of installations I am doing. I call it theatre, some may argue that point... Essentially it is an immersive installation project that lasts 3 hours. You can come and go. It features music from John Norman, and a physical video installation by Pixel Pusher, all curated by me. The goal is to re-create that feeling of disorientation you get when you go into a movie or theatre in the daytime, then emerge into the light again, but in this instance you immerse into a warehouse party in an alley in the exchange. The whole thing takes place in the alley beneath artspace on Arthur Street. Stay tuned, there is another one of these coming for Nuit Blanche too, just learned we're an official selection for the next in this series, popART: Intersection! Anyway, hope you can make it to one (or all!) of my projects. I've never been much of one for following rules. That comes out in the theatre I make, the way I test audience limits and re-think time-honoured classics. So when I read about the "infamous iPhone incident" in New York this week, I laughed. Yep. I wasn't shocked, or annoyed, or disappointed. I didn't call for "education" or making sure the "right kind" of people go to the theatre. I found it a little silly that the dude believed sufficiently in the reality of the set to think there would be power running to the plug, but that's about it. The right kind of people attending theatre are breathing people. That's really the only requirement. Breathing people feel things. They experience things. In life, and in these weird black boxes of rooms where they sit in semi-darkness beside strangers. Whether someone knows the traditions and codified behaviours, the expectations, is completely irrelevant. In fact, I would argue that those very expectations are the reason young friends feel the theatre is "not for them". Theatre is for everyone. It is. I'm not saying that in some sort of populist theatre for the people way. Theatre tells stories. People like stories. Bingo! A match made in heaven. It is that simple. As soon as there is any sense of an "us" and a "them", a desired audience, a set of behaviours, theatre dies a little. And it keeps dying slowly. Until we get out from behind the curtain and share stories and experiences truthfully, and with everyone, theatre will continue to die. Lets shake things up a bit, shall we? The manic nature of this winter-spring has caused a full halt on my blog. Not for lack of things to write about, but rather for lack of time for sleep, much less writing. Since we last saw our intrepid explorer, she has kept herself busy. My collaboration with selardi for Tonight at Eight O'Clock was a resounding success; we sold out (over sold in fact...shhh!!) and had around 70 audience members experience the piece, what one of our volunteers described as "confused transcendence". It was truly an experiment, and in many ways, our goal of pushing the envelope of what audiences in Winnipeg will attend was a huge success. In fact, I think we under-estimated the audience's willingness to play along, and could have offered more. I'm continuing to think about this experiment in the dialectic relationship between audience and performer, art and viewer as I am creating and refining my ideas on the subject. The next major project was as Assistant Director for Clever Little Lies at MTC; an entirely different experience, working with (extremely) professional actors on a new "straight" play. For many this may seem like a departure from my usual interests, however the play dove in head first in to some of the ideas that rest at the very core of all my work; the relationship between our reality and our expectations, and what we do to cope with that gap. In the contemporary world, we have been sold lifestyles and ideas about ourselves, and crafted images, and this play was yet another outlet to investigate how this can be damaging to our relationships. It was a fantastic experience working under Steven Schipper, and I had so many opportunities to learn how to drive the car, so to speak, in what a fellow local performer described as "NASA". Truly the MTC MainStage has all the big toys, and the freedom to create in this milieu was unparalleled. Also, a version of the dissertation paper I wrote for my final work Approaching Antigone at RADA has been published by the Humanities Education Research Association! You can see it here. After all the yammering on this blog about Antigone, I'm sure you'll enjoy (or at least feel resolution). More to come on that project as I intend to resurface work on it in late 2015. What now? Well I've got a few projects on the go. First up is the next instalment of my experiments with the audience performer relationship -- popART: Project Vapour. This takes a different form than the previous, returning to an installation style work that although does not fit the traditional definition of theatre (EG having a story and actors) I do believe is highly theatrical. The theatrical experience, however, is played out for the viewers of the piece. Come see for yourselves if you like -- June 14 in the alley behind Artspace (Arthur Street, Exchange district, Winnipeg). More details here. Will share more in the coming weeks about the new play I'm directing for the Fringe, as well as a very large scale adaptation project I'm working on. Hint: I have spent a lot of time recently reading about Plantagenet Kings. The flagship of this year's CowardFest celebrations was Royal MTC's glittering production of Private Lives, Coward's spicy tale of love and marriage. Krista Jackson, assisted by Rodrigo Beilfuss, directs a visually sumptuous production, each moment filled with beautiful physical work from the company. All 4 performers handle the dry wit and clipped society accents with aplomb. Eric Blais, however stands out, looking and sounding completely at ease within the period. Another particular stand-out was Jane Testar, as the grumpy cold-ridden French maid in the third act, who brings a whimsy to the play. The production moves along nicely, and featured the singing talents of the two female leads favourably. What is, on the surface, a frothy bit of fun, bubbles beneath with a sinister tone, particularly in Amanda & Elyot's fights, hilariously staged, as they run around, smashing one another with gramophone records. Laura Olafson's Amanda is in no way the frail woman; what might have come across as misogyny is instead two equals warring with one another. That said, the relationships feel dated in this play, and it is difficult to make these feel anything but a caricature to a younger audience. True enough, the majority of the house was filled with older patrons, who laughed and enjoyed. I wonder whether the commentary on the relationship was too subtle; where the play could benefit from a Mad Men style comment from within the period, we had silliness and fun, but with not a quite sufficient amount of the dark undertones to truly make the text relevant today. Nonetheless, a fun production, faithful to the style and period. Darlings, it is the end of January, and therefore time to celebrate a playwright! 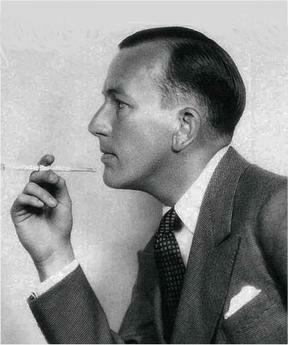 Royal MTC's Master Playwright Festival honours British playwright Noël Coward this year, which means we're in for some fun. Contrary to many of the previous playwrights, Coward's work is characteristically comedic -- he writes silly people existing in a frivolous time, focusing primarily on the English upper classes in the earlier parts of the 20th century. Gin, champagne, music, parties, fabulous clothes -- what could be better! Yet it is all under-pinned with a sense that there are more serious matters hiding beneath the decadence. Less hearty than American contemporary F. Scott Fitzgerald's scathing account, Coward's characters inhabit a world of fun and games, where the seriousness of their predicament and the impact of their choices is left for another day's discussion. As usual, several local companies are stepping up with productions: Royal MTC present Private Lives, directed by Krista Jackson who has become a staple in the MTC Master Playwright camp for the past few years. Echo Theatre go site-specific, with Coward's ghost-addled Blithe Spirit presented at Ralph Connor House, which is bound to be a fantastic time. There are also some indie shows, including Noël Collaborates, a new work based on Coward's correspondence with long-time friend Esme Wynn, and book-ending the first play either wrote called Ida Collaborates. My own contribution to the festival is of a slightly different tone. For me, Coward is about marvellous parties and adventure, so my creative partner and I have put together a one-night event called Tonight At Eight, which is essentially a Coward party you can come and enjoy, rather than watch from the opposite side of the proscenium! There are adventures to be had, all in good fun. Our show is at the RAW gallery on McDermot, February 7 only. For more info on Tonight At Eight, visit our Facebook Event. And check out the festival's website for a complete listing. I have been horribly delinquent recently in my personal mantra to write about everything I see. I don't really have an explanation for it, to be honest. I am seeing work. I don't hate what I'm seeing. But I also have not been particularly taken by it. It all feels frustratingly SAFE, which for me, is the death of true creativity. Granted, I get that not all audiences are willing to watch Lars Eidinger roll around in wet mud and spew Goethe translated Shakespeare at them. I totally get that. But at the same time, I think we sometimes sell our audiences short in our expectations of what will sell, which then perpetuates their own feeling of safety in their choice. It is a huge self-perpetuating problem. Obviously, I'm one person, and one with limited time. And who maybe sometimes likes to get paid, which I recognize means might mean some accommodations. But that said, I also sometimes want to say "screw it" and just make all the work I want to make, as self indulgent as that may be, and if we have an audience of 10 people, so be it. I am generally against resolutions, but I'm going to state one now: I resolve to see the work that might be challenging. It is far too easy in our busy schedules to not make it, but tired or not, busy or not, I'm going to make it. ATTEND theatre. And I'm going to get re-motivated to write about it. I had a lovely afternoon at the WAG this week, upon my daughter's prompting that she wanted to see the Dali exhibition. She first discovered her love of both Surrealism and Pop Art during our many forays into the Tate Modern (I will admit, for a 10 year old she has reasonably refined taste in modern art). The Dali "up close" exhibition is coupled with two others -- Masterworks of The Beaverbrook Gallery, and the finalists for the Sobey Prize. Entering the gallery, we first experience the Masterworks, which range in taste and vintage, however focused heavily on English painters (making sense, given their collector). That said, there were a few notable pieces for my taste, including a stunning Turner, and some Matisse sketches which I very much enjoyed. Walking through the gallery with a 10 year old girl, we made it a point to find the paintings by women - unfortunately only 4 in the full collection (including a stunning Emily Carr). While we are unable to turn back and change the facts of art history, much like those of literary history, we can promote in our youth an awareness of the conditions for making art, and for women in these historical periods. Given the focus among the Masterworks in earlier periods of the 20th century (and before), the unashamed colour in Dali's work stood out starkly. Dali's work was, unsurprisingly, stunning. The richness of of colour coupled with the provocative themes was fantastic, as expected. Perhaps unexpectedly, however, was the pure gleeful joy of the Moustache series of photographs, which (hopefully) reminded us not only that serious art need not be so serious, but that even artists grappling with monstrous questions of physics and faith can be silly, and oh so human. The final featured rooms were the Sobey Art Prize finalists. I was most struck by the pieces by Nadia Myre - the sewn canvases, showing both words and physical manifestations of decay were really beautiful and haunting. Similarly, the text-centred work of Neil Farber and Michael Dumontier was thought provoking. On a related note, I must say that I'm really enjoying the arrangement in the permanent collection, which recently has begun to situate some of the oldest and newest pieces in the collection beside one another - what is striking is the parallels in shape and colour this brings out. Definitely worth having a look at!